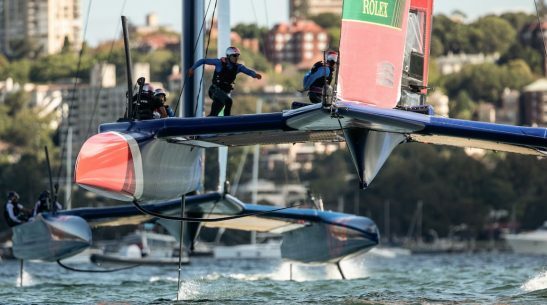 Hospitality packages available at the largest most exciting event of the sailing calendar. 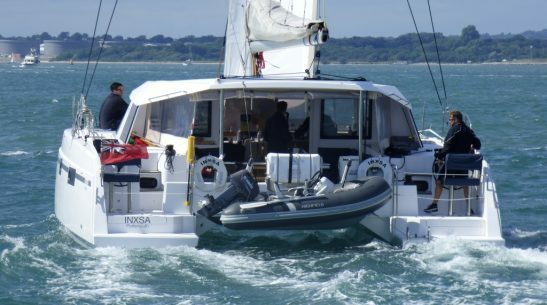 Cowes Week is the busiest week of the year for Marine Events, providing corporate sailing events, company powerboat days and luxury yacht charters on board a stunning fleet of performance powerboatsand luxury sailing yachts. 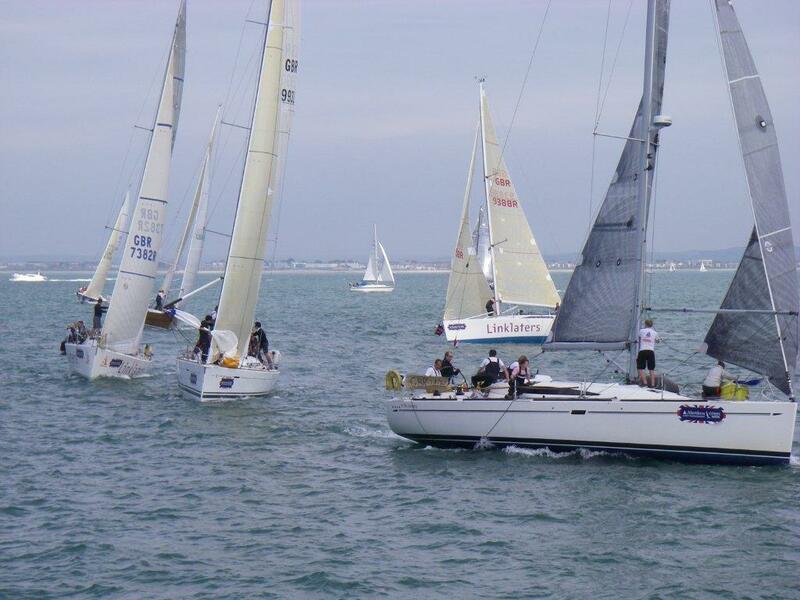 Cowes Week is now considered to be the largest, oldest and most successful sailing regatta in the world. 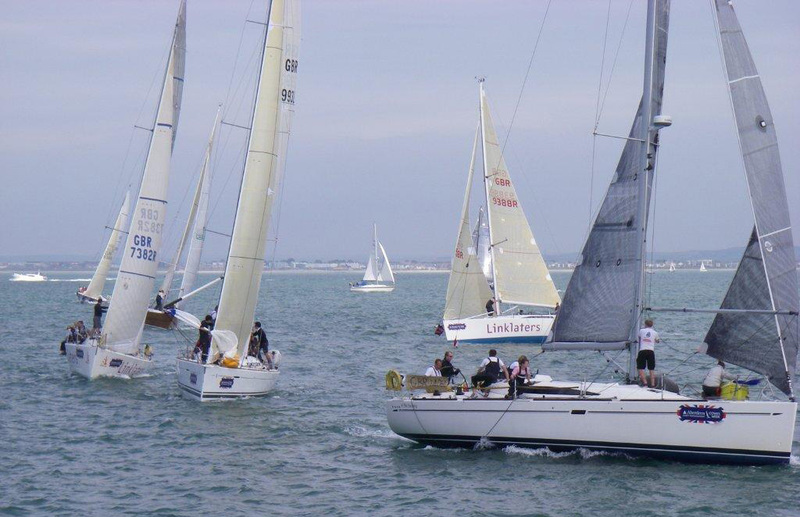 It is a week-long celebration of yachting based from the Cowes on the Isle of Wight. 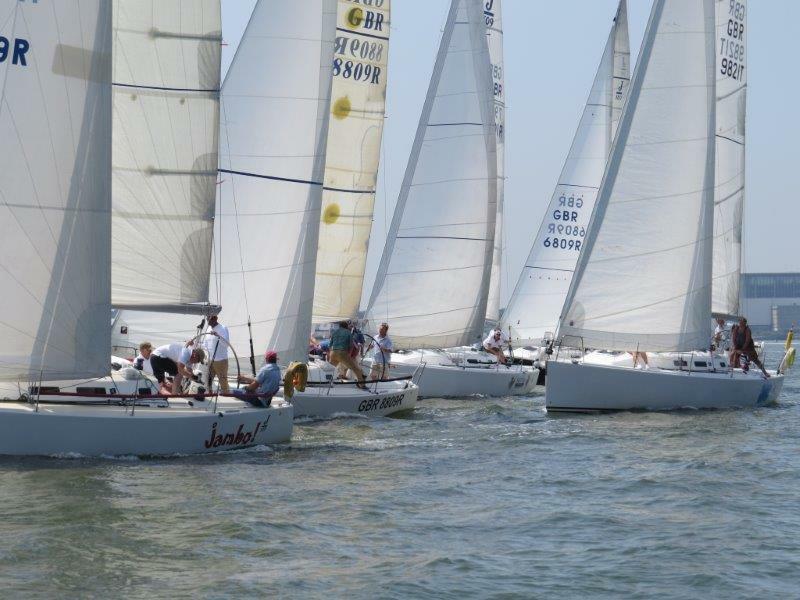 Everything from small yachts with 2 0r 3 crew through to ocean racing yachts with crews of up to 20 will be there racing on the Solent. It is the south coast’s “be seen” event of the year, with a shore based carnival atmosphere to rival any. 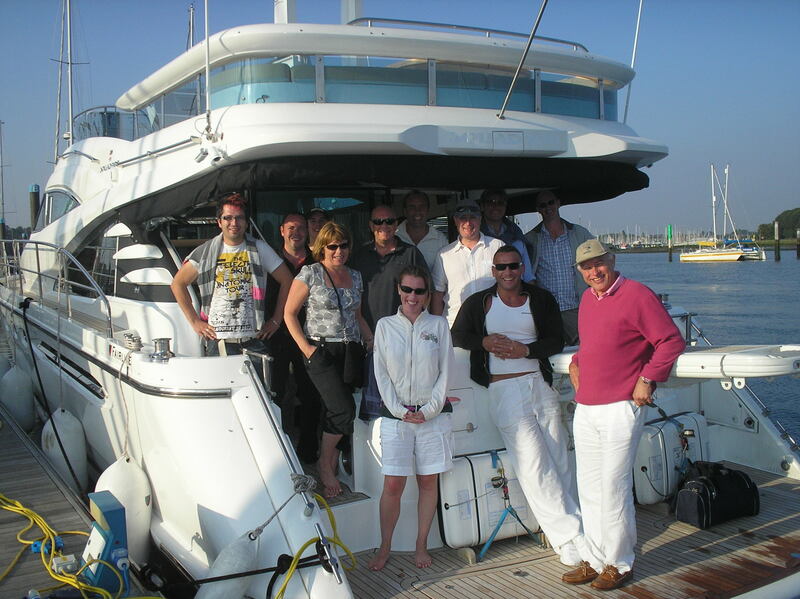 Marine Events makes sure that your Cowes Week experience is one that you and your guests will never forget. 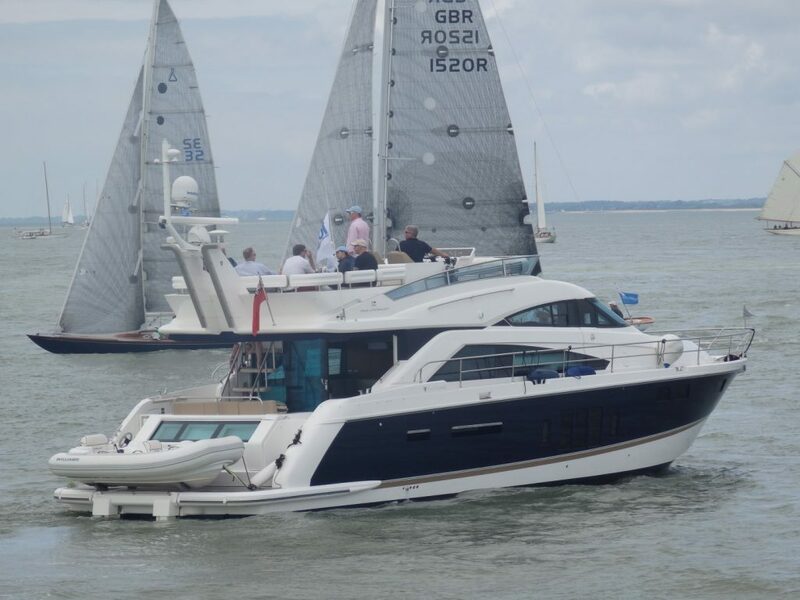 Our events are hosted on board some of the largest, most luxurious sailing yachts and powerboats available for charter; we take you close to the racing action; we show you the sights and we make sure your time on the Solent lacks nothing. We provide superb catering, from the moment you walk on to the boats, with Champagne and Smoked Salmon on arrival, three course seafood buffet lunches, afternoon clotted cream teas and all accompanied by fine wines, chilled beers and seasonal fruity Pimms, all served by our experienced friendly hostess’s. We makes sure that we get you out on the water and up close to the racing action so that you can experience first hand the excitement of watching a fleet of racing yachts rounding a mark, dropping sails (sometimes in the water) hoisting spinnakers, winching, grinding, all this mixed in with a lot of shouting! However, Cowes Week hospitality isn’t always all about the racing, it’s about networking with clients, maybe socialising with work colleagues, but it is definitely about relaxing and having fun, so once we have seen enough racing, we often cruise somewhere quite and have some fun of our own! Or of course you can simply sit back, relax and enjoy the fine wines, chilled Champagnes or Ice Cold Beers while settling into the Solent’s pace of life! Extended Cowes Week hospitality packages can be arranged with evening meals included on board or ashore; allowing you to watch the Friday night fireworks, or just to spend an evening experiencing some of the land based entertainment. Guests arrive at Royal Southern Yacht Club for continental Breakfast. The skipper and host are introduced; the plan for the day and safety are covered in a briefing by Marine Events. Alternatively a Champagne Reception with smoked salmons and cream cheese croissants can be offered on board your luxury yacht or powerboat. Once breakfast is over, you will board your private yacht or powerboat which is moored on the pontoon in front of the club. Our fleet for hospitality days includes some of the largest most luxurious Yachts and Powerboats available for charter in the UK, so the choice is yours, see here for more idea’s. The morning is all about relaxing, learning about the yacht and getting close to all the racing action. Lunch can be served on board in one of the sheltered bays. 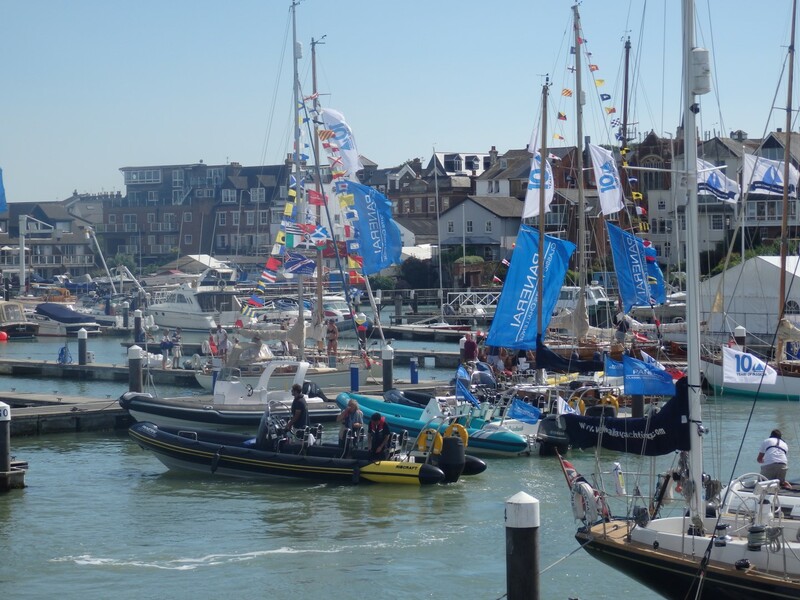 A two-course summer buffet lunch will be served by the host and skipper with chilled white wine, Pimms, beer and soft drinks (Standard Marine Events drinks package) Alternatively some guests like to go ashore in Cowes, enjoy some of the carnival atmosphere and explore the town. 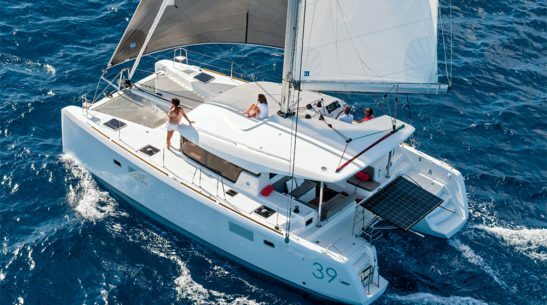 After lunch, more time for some action packed sailing, or cruising in your powerboat, during which time each guest will get the chance to get as involved as they wish with some helming, sailing, trimming or maybe just sit back and relax while enjoying some wine sampling! On these events we can also provide a high performance Rib, this will allow you to get up close and personal to all the racing action. 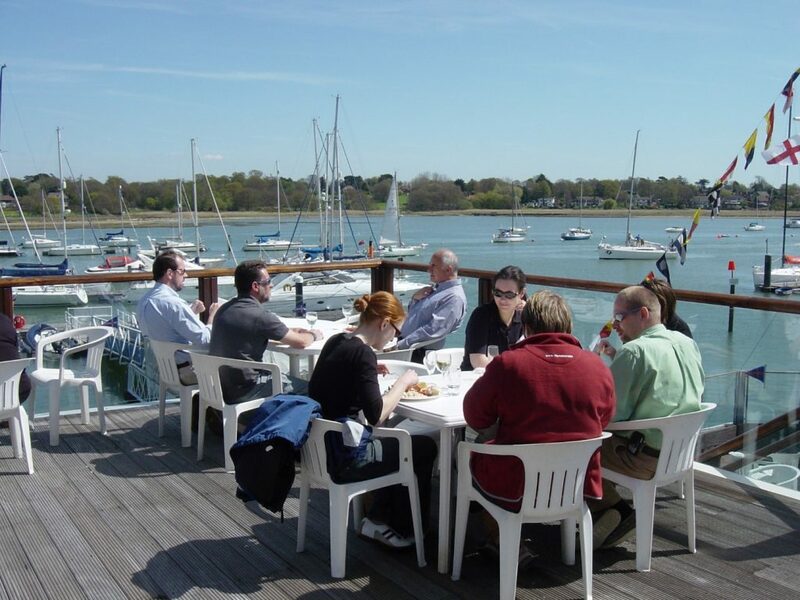 Afternoon tea and cakes served will be served at the yacht club overlooking the beautiful River Hamble or on your yacht as you cruise back up the river to your home port.